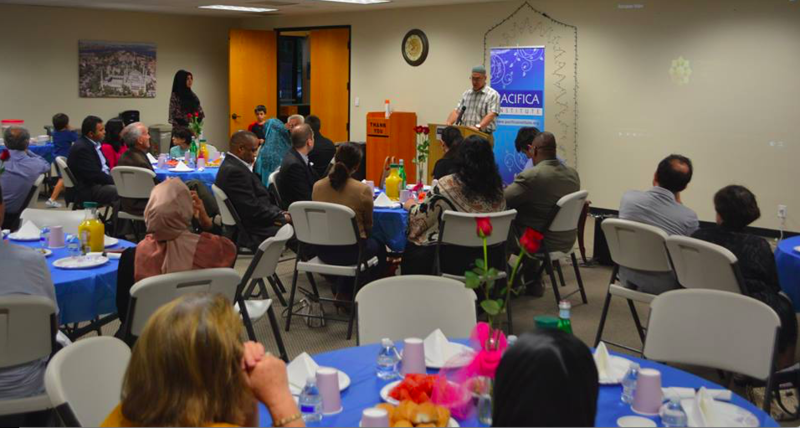 On Wednesday, June 29, 2016, Pacifica Institute hosted a Ramadan Iftar inviting members of the Orange County Sheriff’s Department Interfaith Advisory Council. 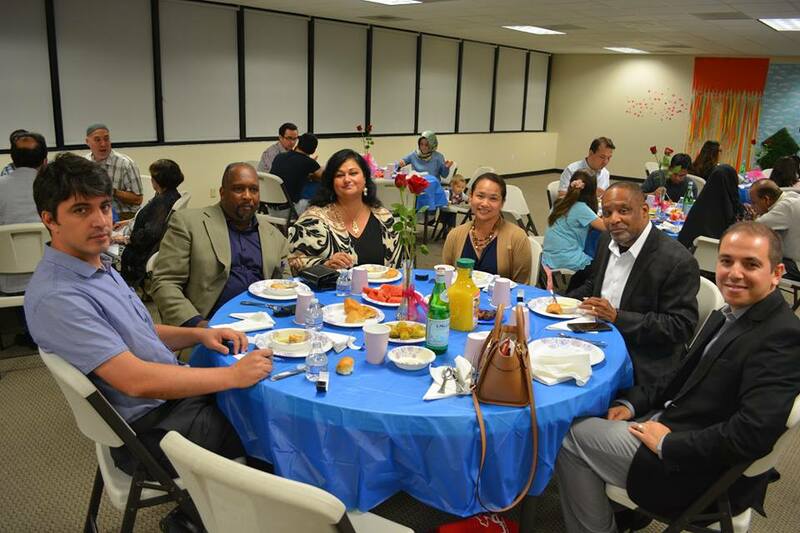 Numerous representatives of the advisory council as well as of Pacifica attended the dinner at Pacifica’s Orange County branch to come together to celebrate what unites the different faiths. The evening started with a warm welcome by Cassandra Naima Arslan, the secretary of the board of Pacifica Institute, and a condemnation regarding the recent attacks in Orlando and Istanbul. Throughout the night representatives of the various faiths expressed their solidarity with the Muslim community and those impacted by the tragic attacks. After the welcoming speech, members of the advisory council offered interfaith prayers from their own faith traditions. First, Reverend Karen Stoyanoff from the Unitarian Universalist Church in Anaheim offered a prayer and a reminder that, while we live in a world of unrest, we “live also in a world of love, beauty, light, joy, compassion.” She reminded those attending that this positive world would be the one to save humanity. Second, Rabbi Peter Levi, the Regional Director of the Anti-Defamation League, offered a short 1000-year-old prayer for peace from the Jewish tradition. Together with this prayer he pointed out that humanity had been dealing with violence for over a thousand years as the prayer proved, and that we all had to denounce violence and work together to improve the situation. 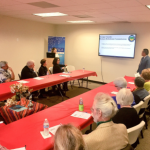 Next Farrah Khan, Executive Director of the Newport-Mesa-Irvine Interfaith Council, offered words of hope by reciting a prayer from the Muslim faith that went back to the Prophet Muhammad. And finally, Avinder Chawla from the Sikh Center of Orange County offered a short prayer from the Sikh tradition. 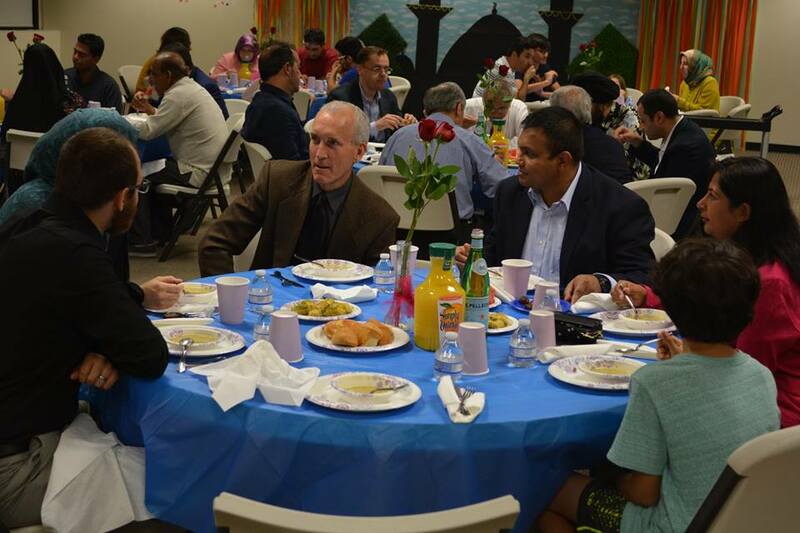 After this, the guests watched a video explaining fasting and Ramadan in the Muslim tradition, which ended in the call of prayer being recited, which was the signal that it was time to break the fast and start eating. After dinner, guests enjoyed coffee and tea and the stage was opened for closing remarks. 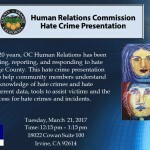 Gail Krause, the public affairs manager of the O.C. 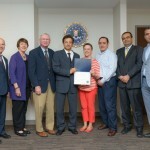 Sheriff’s Department, pointed out that the department saw itself as guardians of the community and that interfaith efforts were an important part of policing in the 21st century. She was followed by Reverend Mark Whitlock, pastor of Christ our Redeemer. He reminded those present of the unfortunate fact that almost everyone in the world had a bias towards people they didn’t know, but that we had to love one another, forgive one another, and forgive ourselves. He also pointed out that “love does no wrong to a neighbor.” His emotional words struck a chord with many of those present and moved people to tears. 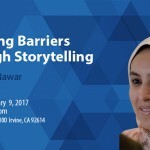 Pacifica Institute would like to thank all those present and all those who helped organize this event for making it such a successful evening.